Tell me about your business: Rose Blossom Prints started out as an Etsy store that I ran on the side while doing other jobs. I started out selling customized digital LDS temple printables that I design myself. 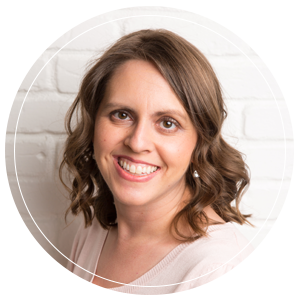 As I became more interested in wedding design I started a separate website, roseblossomweddings.com to focus mainly on wedding invitations. How did you get started? 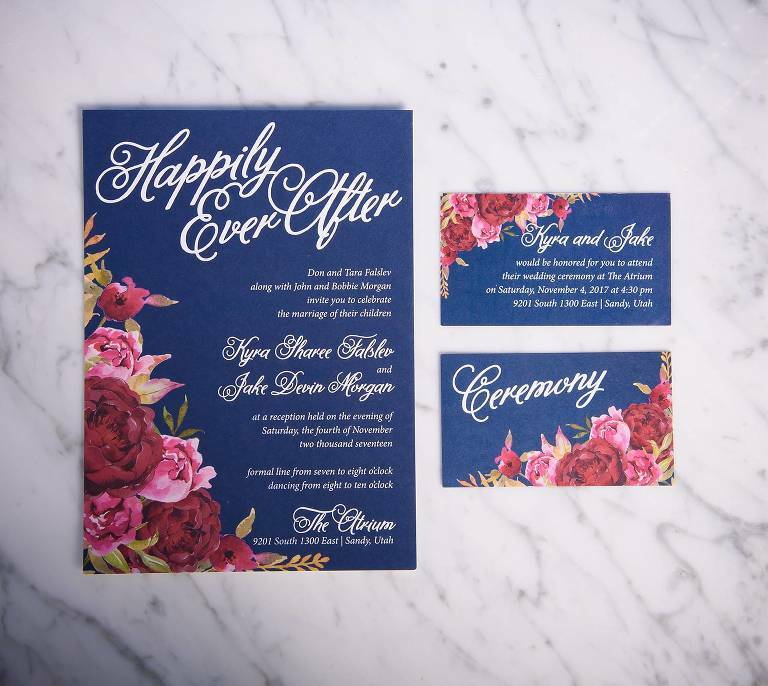 After studying advertising at BYU, I worked as a graphic designer for a few years at a marketing company and then at a print shop while doing wedding invitations for friends and on the side. Last year I decided quit my day job and put all my focus into my business and here I am! How do customers find you? A lot of word of mouth and referrals—I love it when happy customers tell their friends about me! I also get inquiries though my website, Facebook and a few through Instagram. I’d love to build more relationships with other wedding vendors to work together! What’s your favorite part about being in stationery industry? Being my own boss, making pretty things, and making people happy! Why did you decide to start making wedding invitations? It took me a little longer than the average person to figure out what I am most passionate about, and what I wanted to do with my life. I guess you could say the moment I realized that I wanted to focus full time on weddings was when my sister got married in 2015, and I helped design and plan all aspects of her wedding! 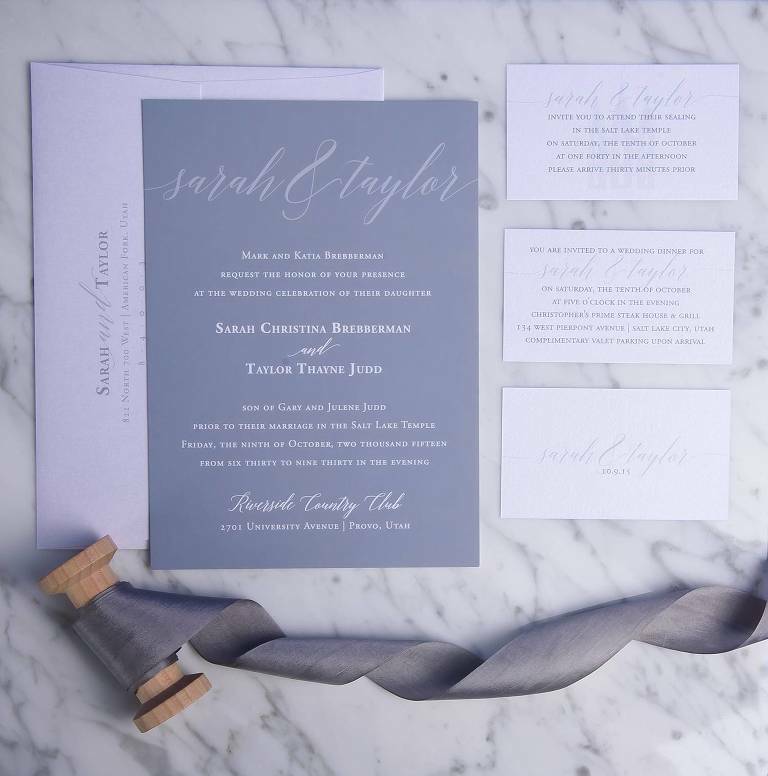 What makes you stand out from your competitors, are all vendors in the wedding invitation industry equal? Everything I make is from scratch, so it’s 100% customized! You won’t find any pre-made templates here! 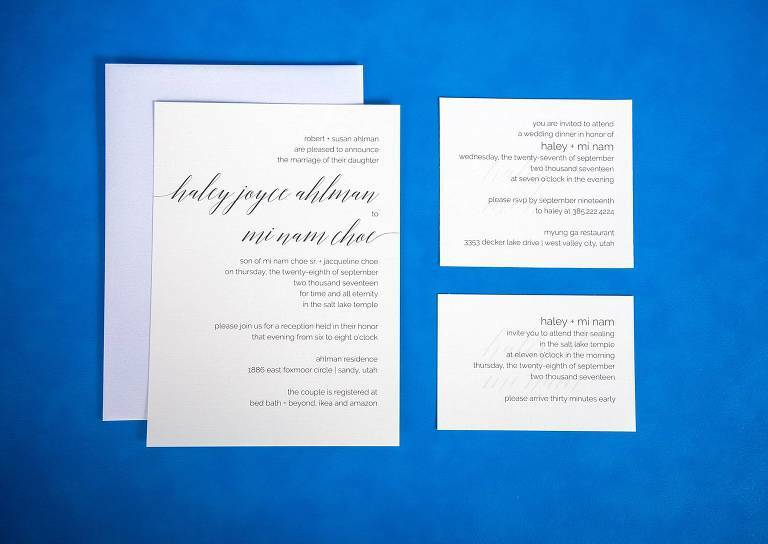 What are the benefits of hiring a professional to make your invitations versus doing it yourself? A designer will have professional design programs, printing hookups, and an eye for good clean design. They will know how to use colors that look good together, pair fonts, and create visually appealing layouts and perfect spacing. They should be knowledgable about the printing process, how to set up the documents in the right format, and use high resolution images so you’ll never get that fuzzy, pixelated look. You can always tell when someone made their invitations on Word — please please please don’t. I promise you can find other affordable options! How far in advance should a customer book/inquire about your services and why? Ideally two months before your wedding. 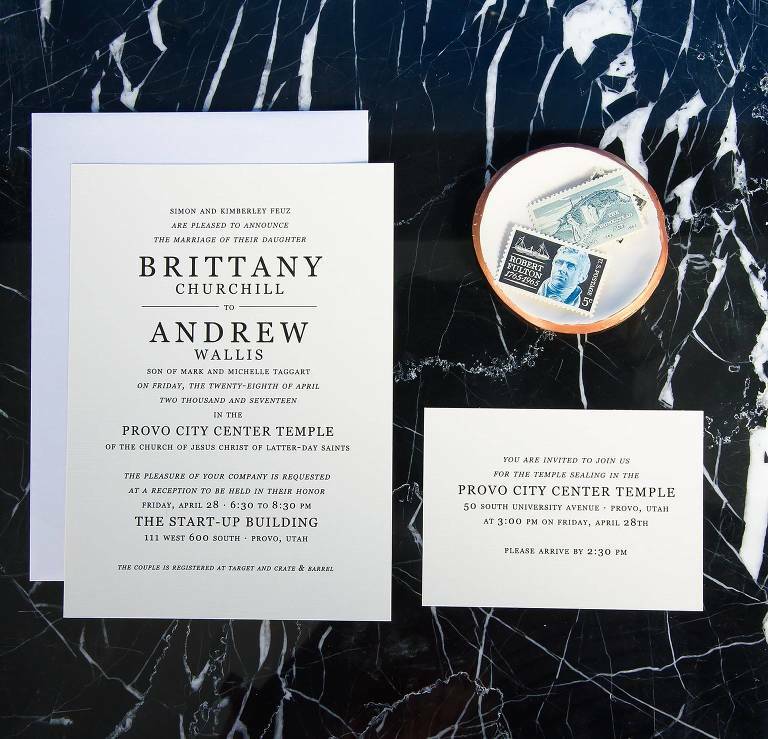 In Utah it is normal to send the invitations out about one month before your wedding (we tend to have shorter engagements here, but outside of the state people tend to send them out earlier). The process from design to printing and shipping usually takes about two weeks, though it can be rushed… for a fee. 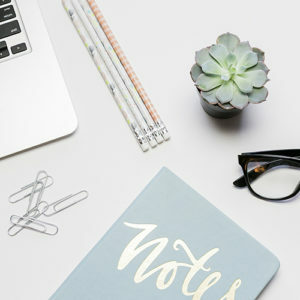 For a less stressful experience and leaving yourself plenty of time to stuff, seal, stamp, and send your stationery (ooh alliteration), the earlier the better! What is a consultation/first meeting typically like? Who/what do you recommend they bring? I’m the one doing the bringing! I have 12 binders full of wedding invitation samples organized in different categories. I’ll ask the bride what kind of a style she is looking for, that way I can hopefully narrow it down to one binder of samples. I usually pick out a few to show and then we can talk about the elements she likes from each, or new things she would like to incorporate to make a unique invitation just for her. What are some things that grooms don’t typically expect to happen during a consult/meeting? Most of the time the bride is the one making all the decisions and sometimes I don’t even speak to the groom at all. If you are a groom and you are including a picture with your invitation, choose together or make sure you approve of it. The bride will always pick one where she thinks she looks the best, and sometimes she might forget to make sure her fiancé is smiling or that you can actually see his face. What is your favorite package/product/service and why do you recommend it the most? They’re not for everyone, but I make custom coloring pages of the couple. They’re just so darn cute and unexpected. If you’ve ever wondered what you would look like as a cartoon, this is for you. They’re great if you have a lot of relatives with kids that need to be entertained at the reception. Describe your dream groom/client: Someone who is open to suggestions or likes to try something a little different! I love a new challenge! What are some fun secrets about your industry (i.e dressed in a wedding shop are typically in ivory because it looks better with lighter skin tones). Can’t really think of any! What do you wish photographers and other professionals knew about your industry? Photoshop is awesome for editing and manipulating photos but usually not the best program to make invitations. For me, where typography is super important, Illustrator all the way! To see more preferred vendors click here.